Brit + Co is a media company that inspires, educates, and entertains real women with a creative spirit through content, online classes, and creative products. Brit + Co connects a community of over 125m online and across platforms every month, bringing a creative lens to the women’s lifestyle space. The company’s audience consists primarily of millennial women. 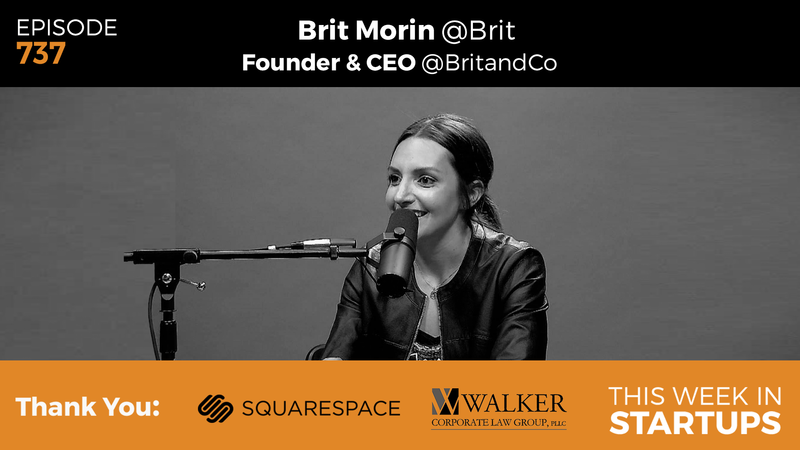 Today, we are excited to have the founder and CEO as our guest, Brit Morin. An ex-Googler and Apple alum, Morin brought her innovative spirit from Silicon Valley to the digital media world. Brit + Co has had a strong year of growth, partnering with Target and raising $15m in Series C funding led by Verizon Ventures. Join us as Brit shares her inspiring story of turning a passion into a thriving business, Brit + Co’s partnership with Target, Generation Z and her optimism for the future, and much more.